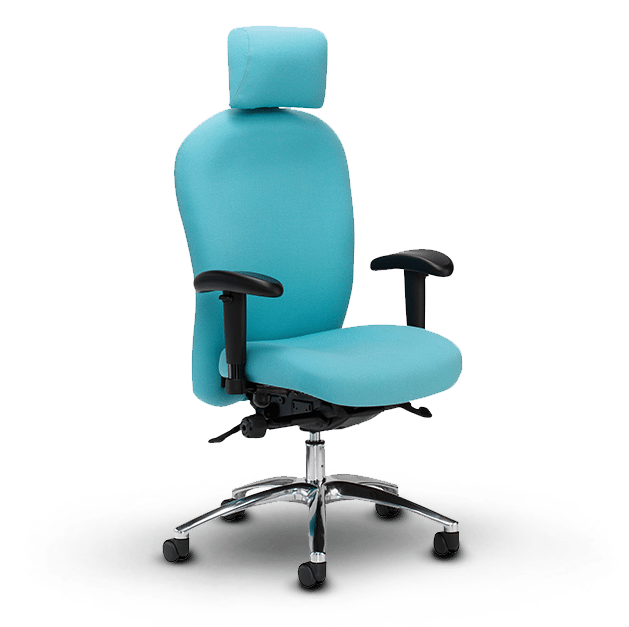 The Posturemax chair has an enviable reputation as a high performance, back-care seating solution. Engineered to withstand the rigors of 24 hour use, Posturemax incorporates unique body supporting technology to reduce the likelihood of back problems associated with long periods spent sitting down. It has BS5459 certification and is guaranteed structurally for 5 years whilst in 24 hour use. Employing a unique synchronised mechanism with independent back angle adjustment and seat slider for optimum adjustability. It is upholstered with heat reactive memory foam and an integrated inflatable lumbar support. The exceptional comfort afforded by a Posturemax chair has to be experienced to be believed.